The Junior League of San Antonio, Inc. is pleased to announce that Marilyn Eldridge will receive the 2006 Junior League of San Antonio Volunteer Extraordinaire Award at a luncheon to be held on Tuesday, March 21, 2006. She joins a remarkable list of past recipients. Given each year, The JLSA’s Volunteer Extraordinaire Award is presented to a Sustaining member of the league who exemplifies the true spirit of voluntarism by serving others through time and effort in our community. Marilyn is a former president of The Junior League of San Antonio, Inc. and is an active leader and volunteer for numerous civic and professional organizations which includes the San Antonio Women’s Center, Battle of Flowers Association, San Antonio Bar Association, Trinity University Fine Arts Center, Southwest Foundation Forum, San Antonio Symphony League, Planned Parenthood of San Antonio, and the Fiesta San Antonio Commission—just to name a few. 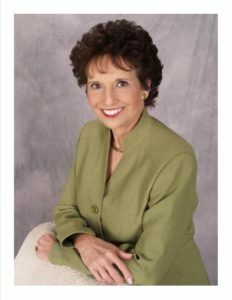 Her passion for helping others has garnered Marilyn’s national attention through recognition and commendation in Time Magazine for her innovative work in the area of adoption and the creation of Adoption Affiliates, of which she is the President and Chairperson of the Board of Directors. Marilyn and Huard have two adult children, Allen Cazort and Cynthia Collins, married to Taylor Collins, and two granddaughters, Julia and Chloe Collins.